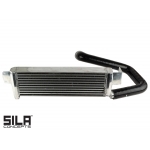 Developed in cooperation with ABARTH Race Teams this intercooler is a great upgrade for your FIAT 500 ABARTH or 500T. 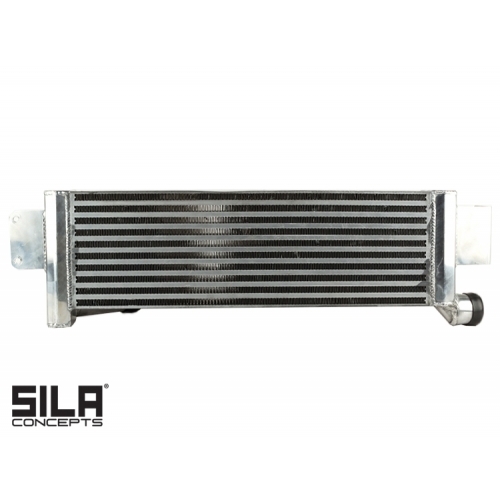 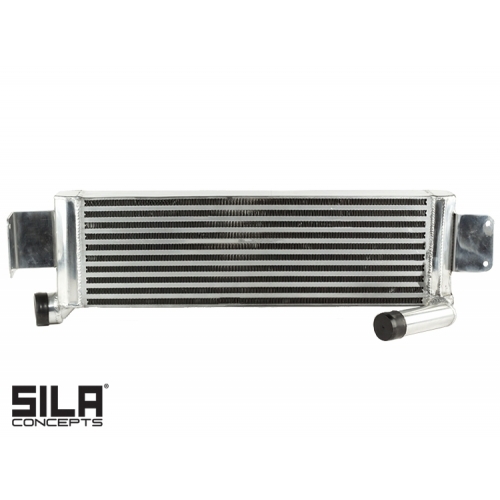 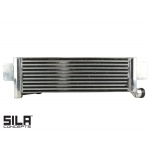 This newest SILA Concepts Front Mount Intercooler (FMIC) has many features which makes it one of the best options available. This intercooler features a Bar and Plate Design which allows for more direct airflow over the factory dual intercooler setup. 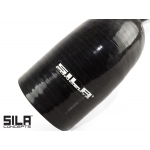 The Bar and Plate Design is preferred by many over the tube and fin design due to cooling ability and better durability and resistance to being damaged by road debris. The unique design of this intercooler allows for the reduction of temperatures, increased performance and reduced weight (approximately 5 lbs when compared to the stock set up). 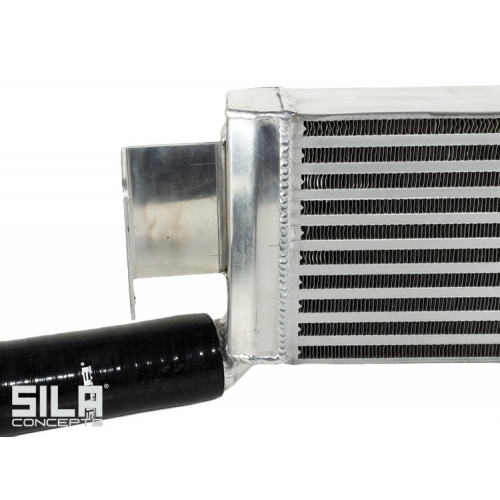 Better airflow and performance was accomplished by increasing the surface area of the intercooler and reducing the ducting the factory system utilizes. 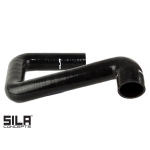 This resulted in lower inlet air temperatures and increased performance with a reduction in heat soak of the turbo when putting the car through its paces. These intercoolers have been designed to fit on all North/ South American FIAT 500 ABARTH and 500T cars. 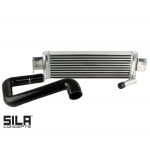 This is a direct bolt on conversion that requires no permanent modifications.